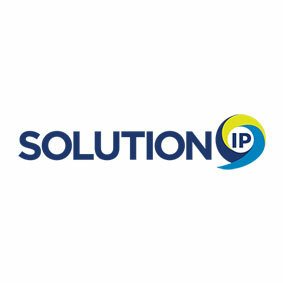 Solution IP provide innovative telecoms and internet services for medium-to-large businesses. They offer a wide range of products and take great care to understand the needs of each client before implementing bespoke systems that are future-proof and secure. ‘Connect, Communicate and Collaborate’ is their motto, and those sentiments have been echoed throughout our work with them. There are various elements to successful digital marketing, which is why a strategic, integrated campaign is essential if you want to see results. However, it seems that many content marketing agencies view Search Engine Optimisation and content creation as separate disciplines, perhaps ignoring SEO to solely focus on writing copy that converts. Yet, if you neglect the science of search, your output is unlikely to ever reach its full potential. As such, we always recommend conducting a thorough SEO audit before commencing with more creative tasks, as this allows us to see where the website is performing well, what improvements can be made and which keywords should be targeted in order to boost search engine performance. Doing this groundwork and establishing the parameters helps to ensure that all future activity is focused, allowing us to better gauge success further down the road. Thus, completing a detailed Digital Health Check was the first step in helping Solution IP improve their website. We’ve got a very comprehensive website with upwards of 60 web pages, but it’s true to say that many of them were underperforming. I had some knowledge of SEO but lacked the resources and expertise to drive more inbound enquiries, which is why I enlisted Bespoke Digital’s help. Magnus suggested several edits to the structure of our site, educated us on the process of onsite-optimisation and taught us the value of internal-linking – priceless lessons that have served us well ever since. He also conducted a series of detailed product page audits, where the real value of his know-how shone through. The reports we received were comprehensive, but easy to understand and implement. Magnus then walked us through each report and cross-checked our work with his suggestions. Guided by his words of wisdom, there has been a dramatic impact on our search performance; previously, our target landing pages were ranking on the fourth or fifth page of Google, but we now regularly appear towards the top of search results. Once the architecture of the website had been refined and the SEO foundations were in place, we were able to move onto phase two of the integrated marketing campaign; content creation and copywriting. Gemma and her team understood the value in regularly updating their blog, seeing it as an opportunity to showcase industry knowledge while also linking to target product pages (raising the authority of each page as a result), but they struggled to produce a regular volume of content – a common phenomena throughout the business world. Writing captivating copy that attracts customers and satisfies search engine bots is what we do best, so we pitched a series of blog posts that were relevant to Solution IP’s target markets, focusing on the benefits of each product and how they could be applied to real world settings. For example, we wrote a piece on how Hosted Telephony is empowering estate agents with greater flexibility – highlighting the perks of the product for a key demographic. Our products and services are very specialised, and it’s always a challenge to distill this complex information and frame it in a manner that everyone can understand. A big focus for me has been moving away from technical jargon, and I’m pleased to say that the content Bespoke Digital produce is always clear, well-written and packed with actionable advice. I rarely have to make many edits, and I know I can trust them to ‘get’ what we’re trying to say, which makes my job a lot easier and means we can publish quickly and efficiently. Having quality content on your website makes the process of link-building much easier, and this was the next step in our online marketing strategy. Ultimately, the best way to grow your audience and improve search engine performance is to submit articles to high-authority websites that are relevant to your niche. This allows you to share your knowledge with audiences that are well-placed to make purchase decisions, ensuring your company grows in stature, but an often overlooked benefit also comes in terms of SEO; the more reference links you obtain from high-authority websites, the higher you’ll rank in the SERPs (Search Engine Results Pages). 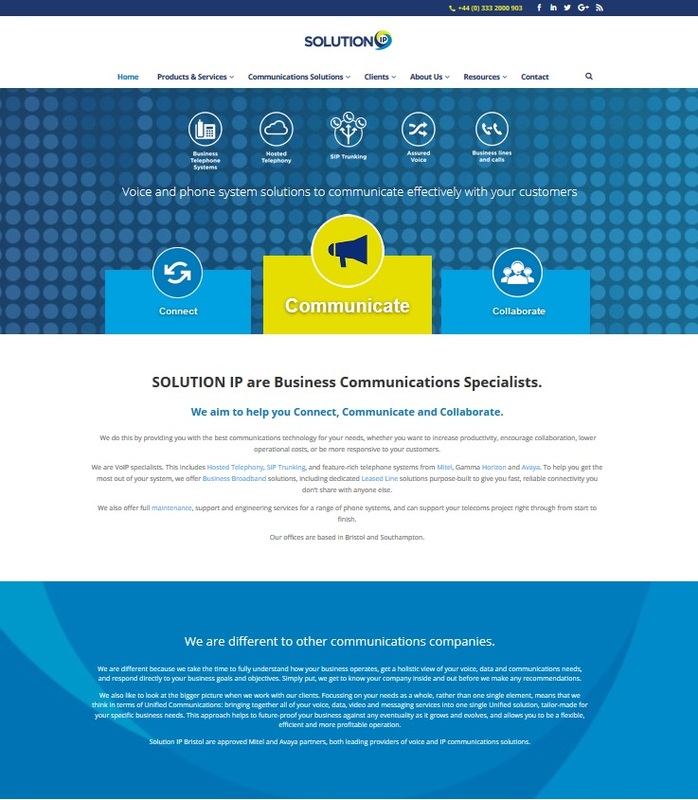 Over the past few years, we’ve conducted a fantastic outreach campaign for Solution IP, regularly placing informative articles on a significant number of well-regarded websites that are frequented by IT professionals, business leaders and telephony experts. This has resulted in sustained growth in traffic to their site, directly from articles, while organic search engine performance has also continued to improve. I’ve always been impressed with the quality of traffic that has come as a direct result of guest articles, and the value of these authoritative backlinks has definitely bolstered our search performance. The outreach campaign has allowed us to share our message with the right people, and ensures we always have something interesting and new to share on social media and in our newsletter – enhancing our brand image as a result. In short, the SEO and content marketing campaign that Magnus and his team have carried out has played a significant role in our growth. We’ve been able to position ourselves as thought leaders and industry experts, which has resulted in an exponential increase in qualified inbound leads each and every month. Optimising your website is the first step to content marketing success. Once your little corner of the Internet is looking spick and span, you can start putting more effort into attracting new customers with quality content and authoritative backlinks from respected third-parties. The more strategic you are, the better your results will be. To discuss an integrated SEO and content marketing campaign, please contact us today.